We're weaker than I thought we'd be. ...but still not the weakest team we've ever put out.Ospreys are strong.Tipuric,best openside in the world. Ospreys,lost 1 @ home all season iirc so we need to be on our mettle. They will acquit themselves well. If we can get same amount of tries and within 5 we have equaled the game at Wuss. Good old AS, he always pulls a rabbit out of the hat - Ryan Mills at 10 and captain. Only 12 out of 23 right in my prediction. And 3 French officials for Ryan to talk to as well. They haven't even been on the dodgy streaming services! BT have the rights, but have done absolutely nothing with them. At least could have sold them on or something. 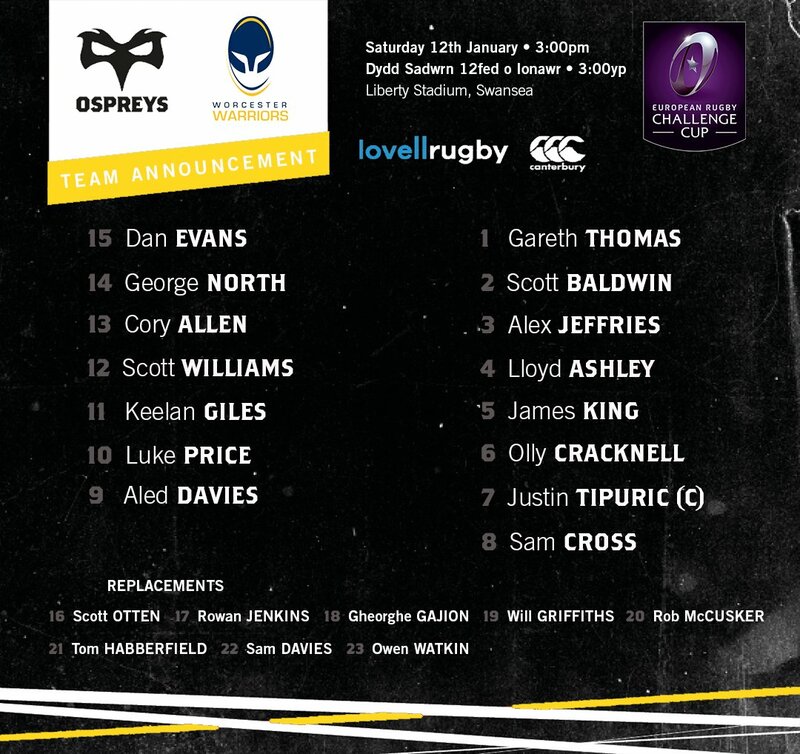 A very strong set of Ospreys backs ( Sam Davies is on the bench) but much weaker in the forwards. 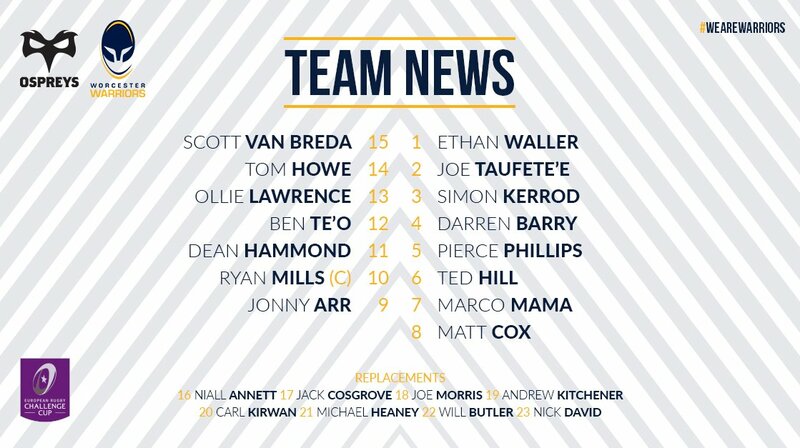 Two relatively unknown props and no AWJ or Lydiate. I have to say what a brilliant performance from the team today. Away against a strong team full of same nation internationals. B****y well done all. Really showing some strength in depth and some winning spirit.